Blueberries and raspberries blended with frozen bananas until creamy served over overnight chia pudding. This braspberry layered chia pudding is delicious and refreshing, perfect for warm summer days. I’m hoping you’re enjoying your summer days. It’s been so nice lately with the mostly wonderful weather. And living in San Francisco, there are so many events that take place every single week! Lately, I’ve been trying to get out there to explore and do new things. The latest was NightGarden Piano. 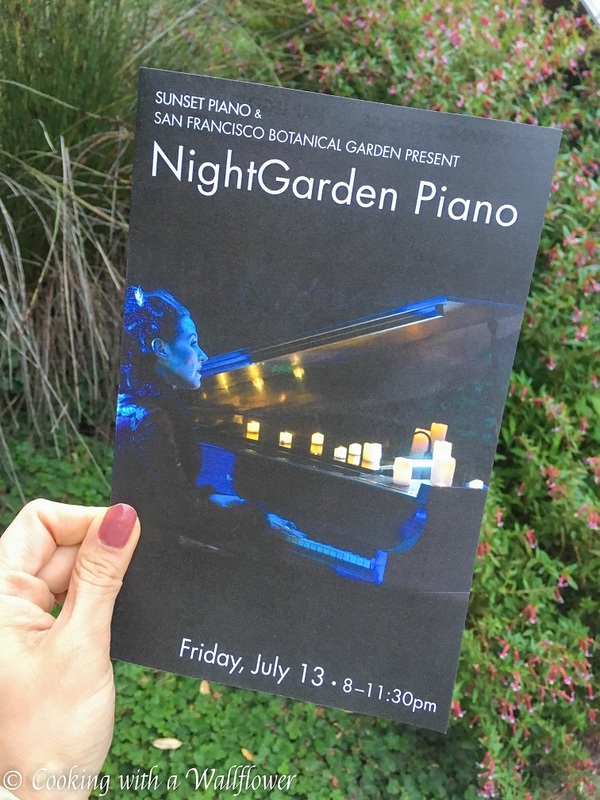 I had the most amazing time at the NightGarden Piano the other night. 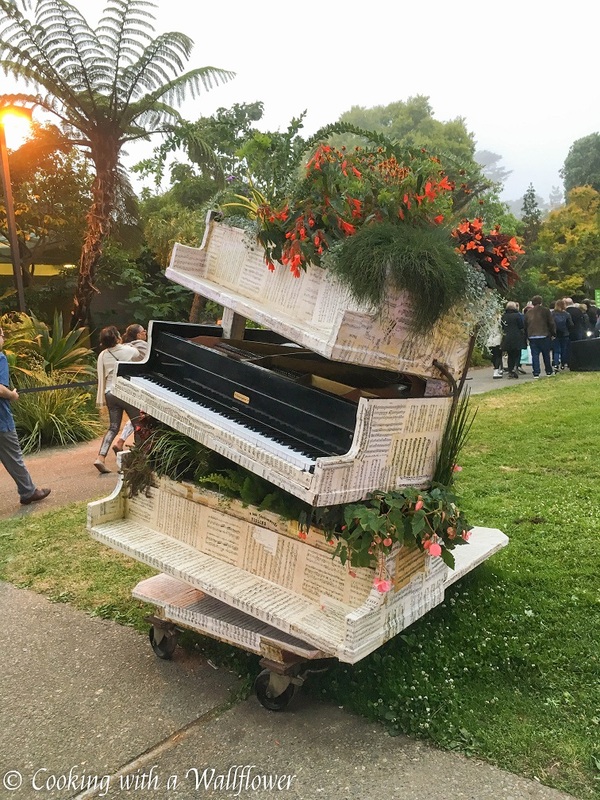 Basically, there are 12 pianos scattered around SF Botanical Garden for 12 days. 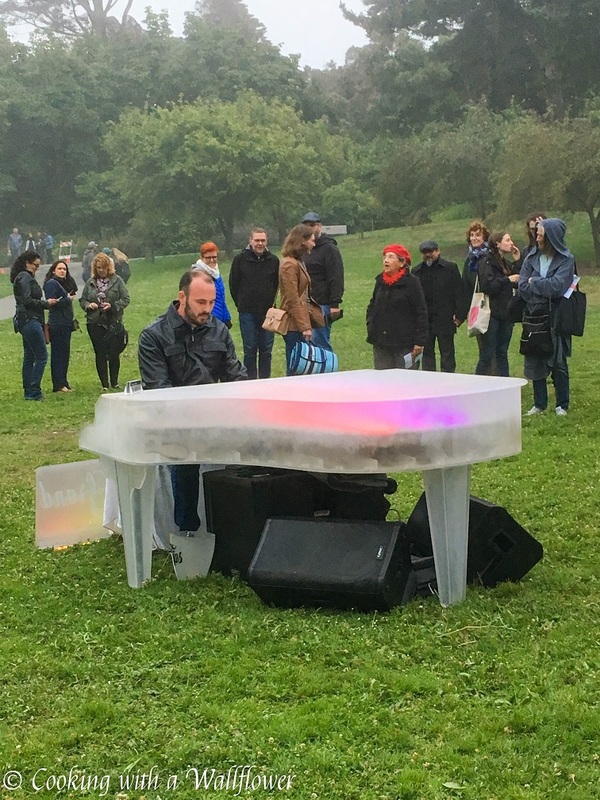 During the day, anyone can play the piano so if you catch a performance, it will be a unique experience. For three nights, the botanical garden welcomed guests in to experience performances by professional pianists. The gardens are completely dark with dim lights lighting the pathways. You walk until you find trees lit up with colorful spotlights. Follow those lights and you’ll hear piano music playing. Most of the time, the pianos are hidden in wooded areas. You can stand and listen, sit on benches, or even spread a picnic blanket on the grass to enjoy the concert. It was soo much fun and different from anything I’ve ever experienced. In the mean time, I have a brand new recipe for you, and it’s perfect for a summery breakfast. 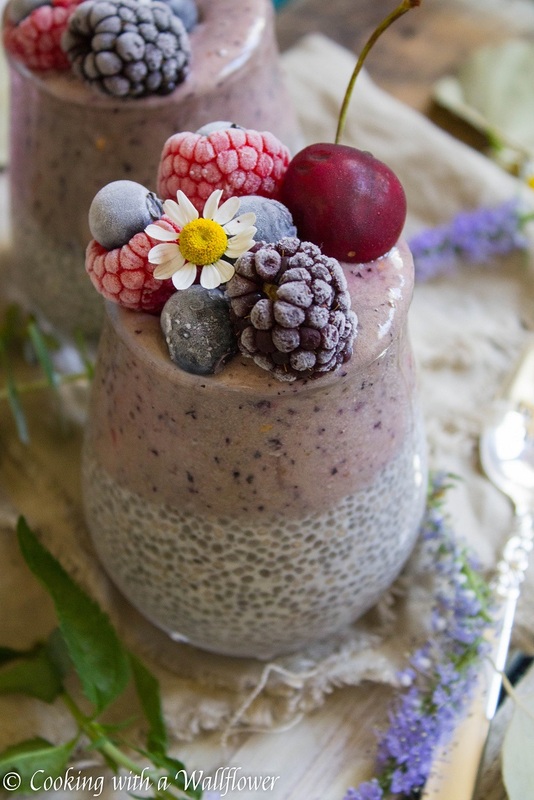 A layer of frozen berry smoothie poured over creamy chia pudding then topped with frozen berries. Seriously, it has summer written all over it. 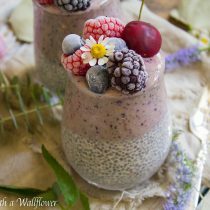 I love overnight chia puddings because they’re so easy to prepare. All you have to do is mix chia seeds with almond milk and maple syrup. Stir until all the seeds are well mixed with the almond milk. Clusters of seeds don’t expand. 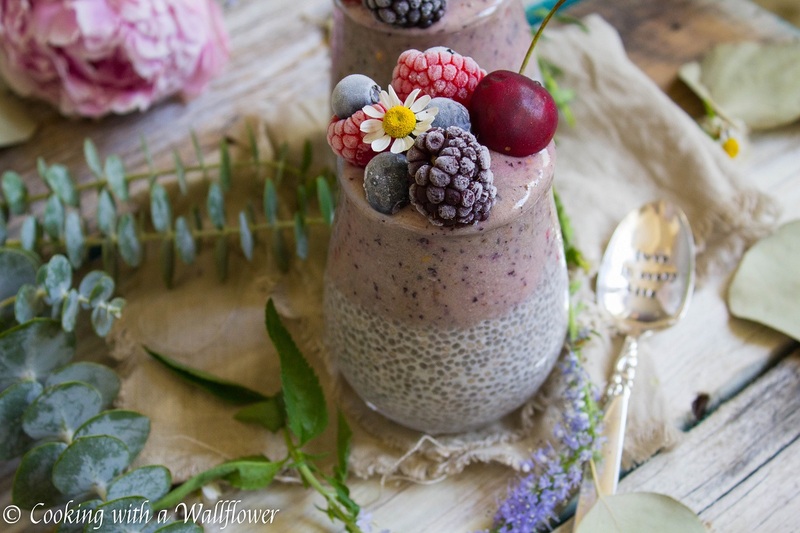 This version of chia pudding is topped with a thick and creamy blueberry raspberry smoothie. Or braspberries if you have the time to stuff blueberries into raspberries. I did it for this post, but honestly, never again. lol. It is soo time consuming to find small blueberries to stuff into delicate large raspberries. But I couldn’t resist when I saw Driscoll’s post on braspberries a few weeks ago. You can use any combination of fruits that you like for your smoothie. 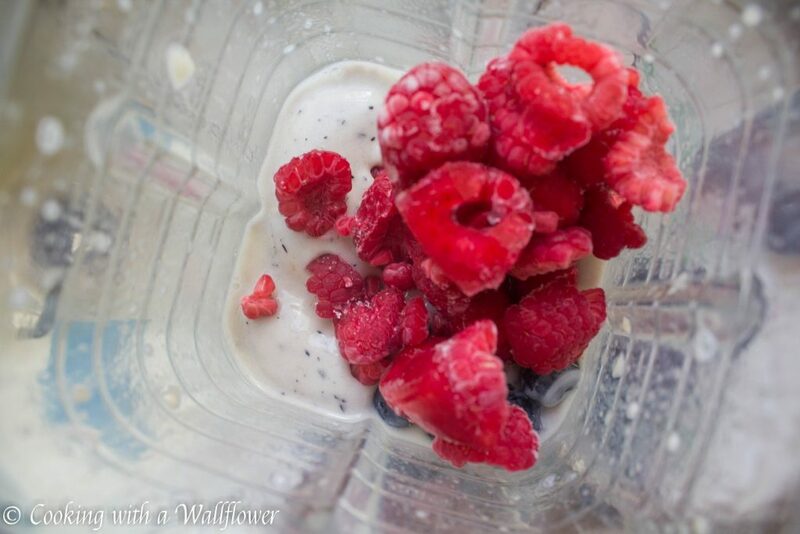 And to give it a final touch, add frozen berries straight from the freezer on to your smoothie. As the berries defrost, it’ll have that frosty look. 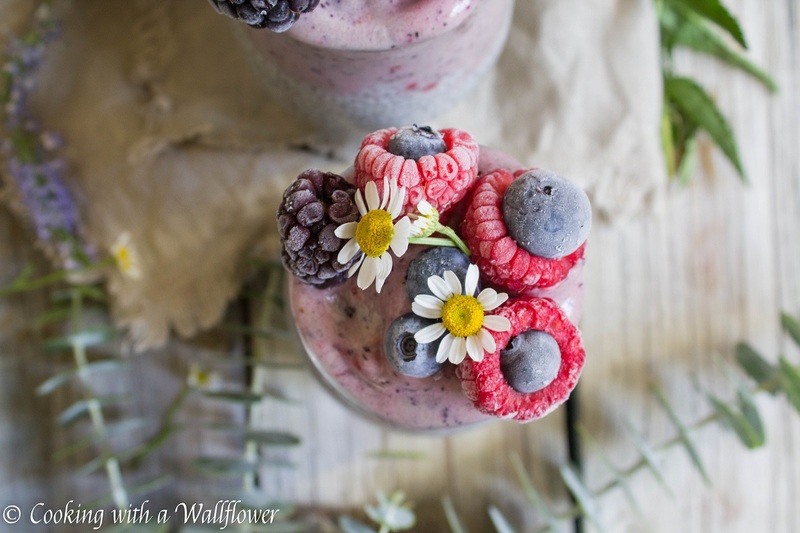 The flavors of blueberries and raspberries together are so sweet and refreshing. Which makes this braspberry layered chia pudding so perfect for breakfast or a summer afternoon snack. It’s also super filling, which is what I need before I’m out and about, enjoying summer days. In a medium sized jar, add chia seeds, vanilla almond milk, and maple syrup. Use a spoon to stir until all the seeds have dispersed. Refrigerate the chia seed mixture overnight so that the chia seeds can thicken. When ready to serve, blend frozen bananas, frozen blueberries, and frozen raspberries with vanilla almond milk until smooth. Always add the liquid first for easier blending. Trust me. The blender and I are frenemies. Some days it likes to work for me. Other days, not so much. 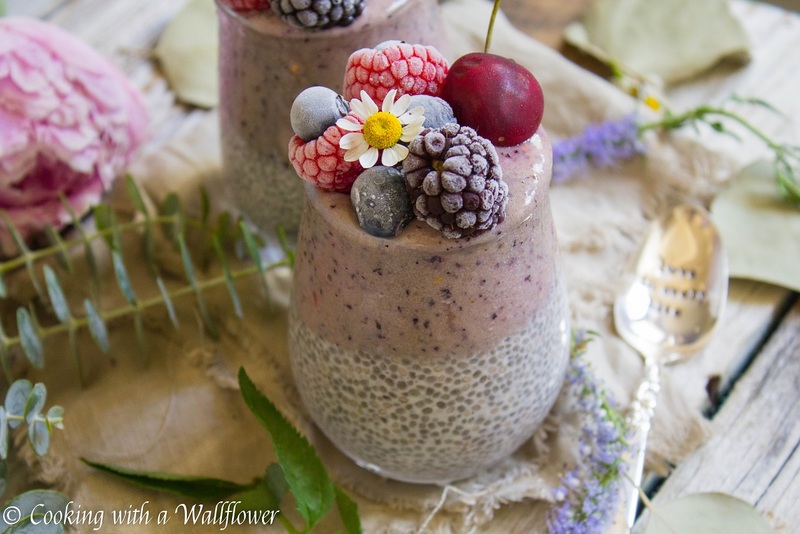 Divide the chia pudding into two small jars or glasses. 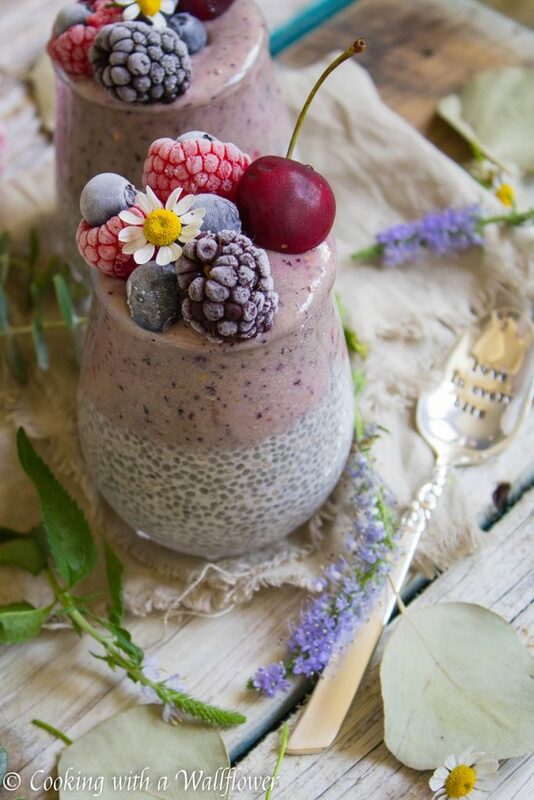 Pour the thick braspberry smoothie over the chia pudding. Serve the braspberry layered chia pudding topped with frozen berries. When ready to serve, blend frozen bananas, frozen blueberries, and frozen raspberries with vanilla almond milk until smooth. Always add the liquid first for easier blending. 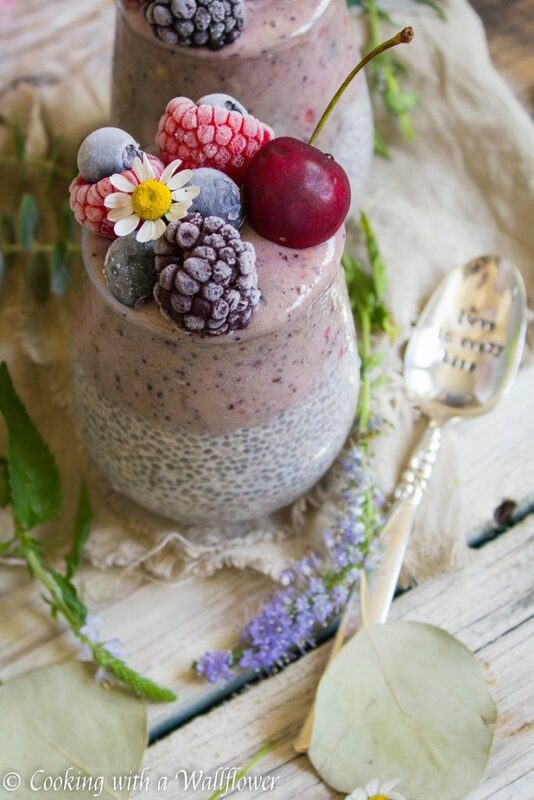 Pour the braspberry smoothie over the chia pudding. 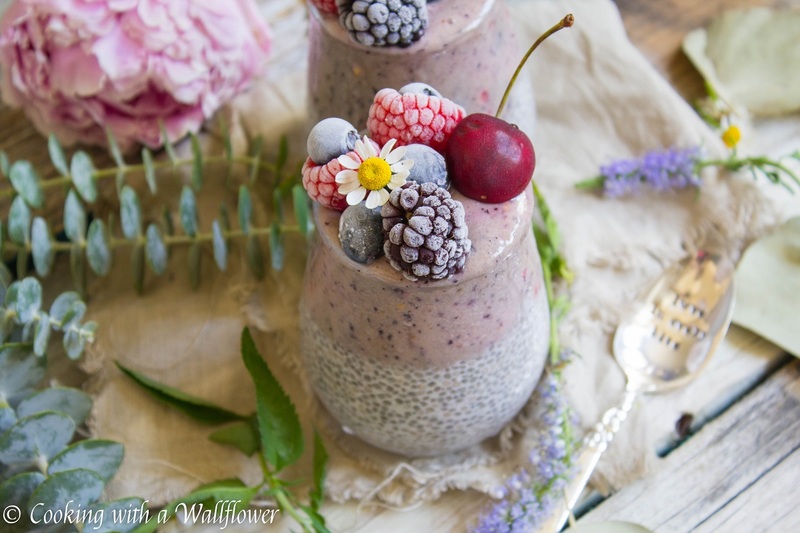 This entry was posted in Breakfast, Chia Pudding, Farmer's Market, Gluten Free, Healthy, Overnight Chia Puddings, Quick and Easy, Recipes, Summer Cravings, Vegan, Vegetarian and tagged chia pudding, gluten free, layered chia pudding, overnight chia pudding, quick and easy, vegan. Can’t wait to try this, looks so yummy! Photographs look likes works of art. The Pianos in the Garden is a brilliant idea. Go SF.